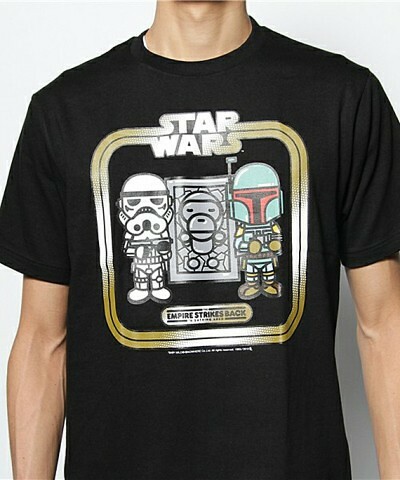 c'mon, these are awesome. 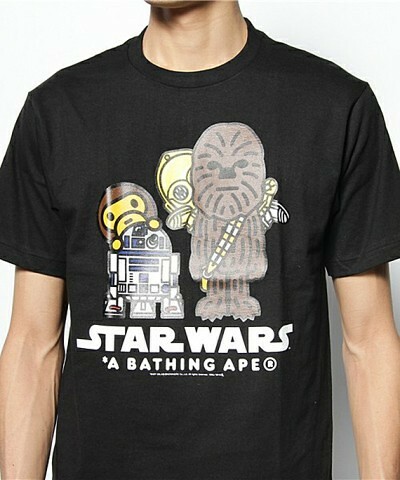 I want the one with Milo in Carbonite. 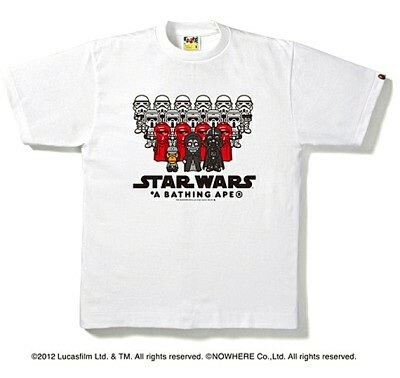 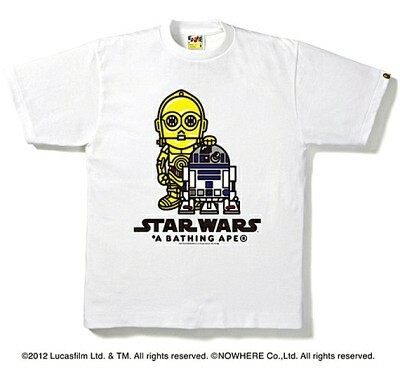 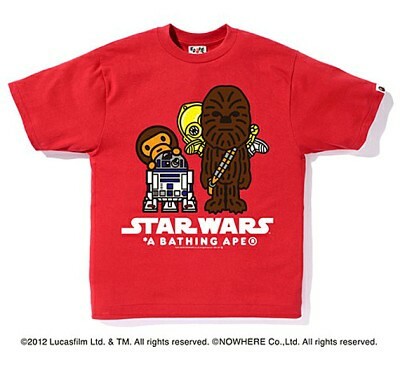 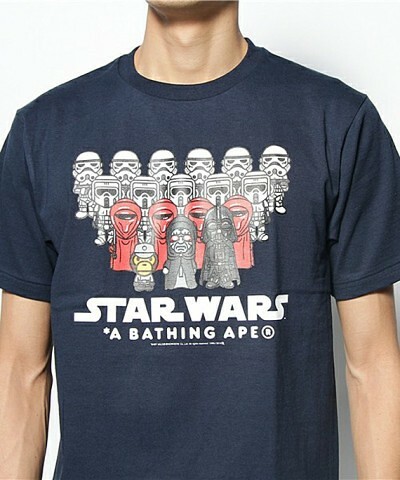 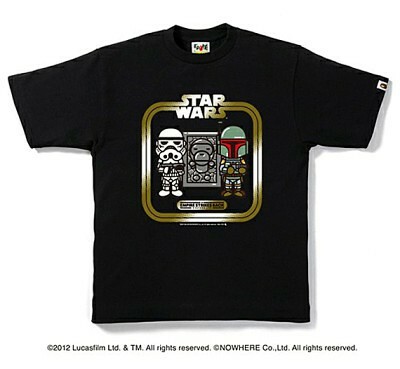 As a way to usher in the New Year, A Bathing Ape is making the second part of its Star Wars collaboration available at select BAPE retail outlets in Japan. 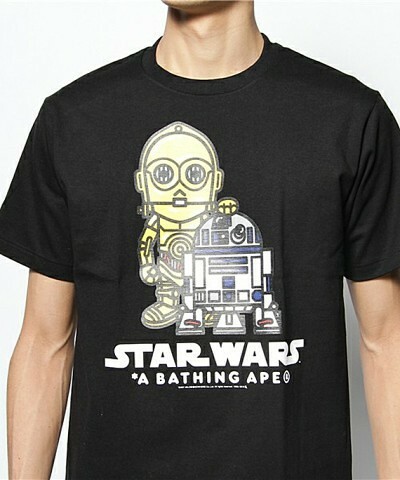 Similar to George Lucas’ space sage, this latest collection focus mostly on “Episode 5: The Empire Strikes Back” with Baby Milo taking center stage as both Hans Solo (sealed in carbonite ) and an officer of the Imperial fleet. 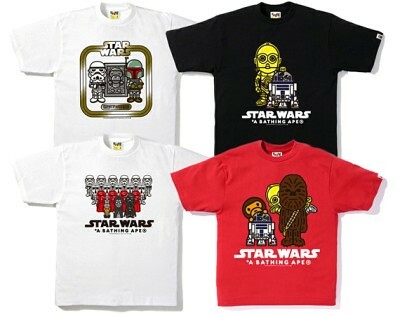 Much sought after by both Star Wars fans and BAPE followers, the collection just made its early debut on New Year’s Day in Japan with world wide release coming soon in the weeks ahead.